The Vacuum Oil Company produced a line of steam cylinder oil for steam automobiles in the early 20th century. The Virtual Steam Car Museum has an empty Vacuum Oil Company can that once contained steam car cylinder oil. 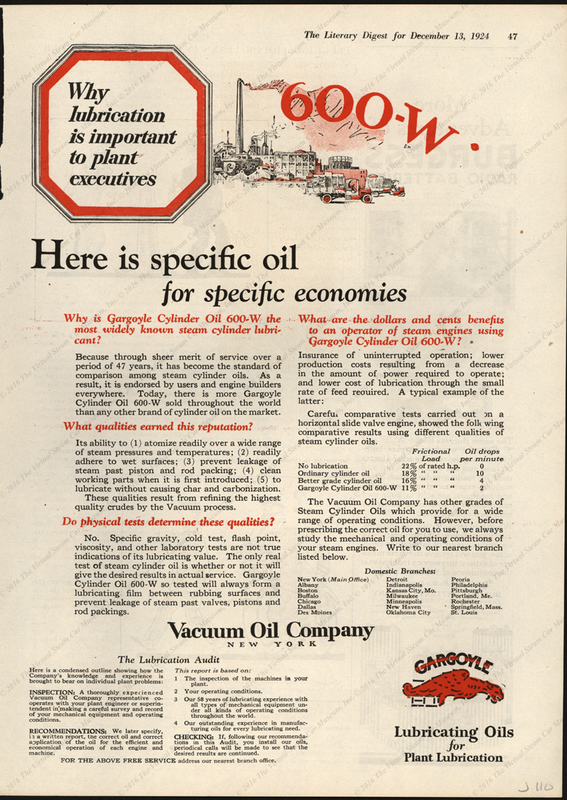 The Vacuum Oil Company placed this magazine advertisement in The Literary Digest for December 13, 1924 on page 47. Contact us if you have additional information about the Vacuum Oil Company, or if you have questions.